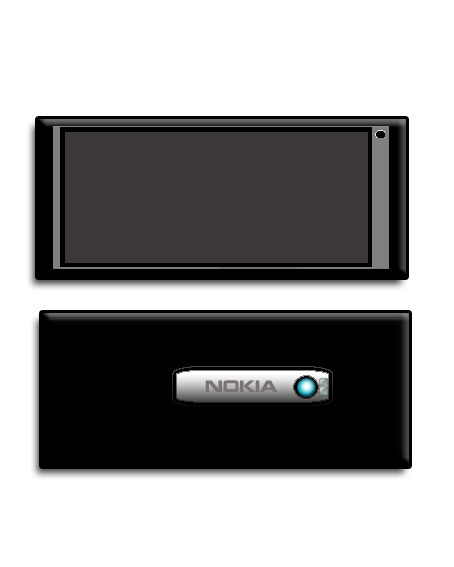 On Thursday, Stephen Elop showed us a very rectangular device that some sources speculated to be Nokia’s MeeGo phone. A guy claiming to have the N9 consumer device over at the Maemo forums described how it looked and gave a little drawing of how the UI works. Later someone pitched in a better drawing trying to visualize it and he corrected the LED position, here’s the final result. I guess you could say this was just interpreted from what Elop showed us. They do certainly look similar.